A question that is raised frequently on blogs, forums, and listservs is from professionals who are asked to conduct a presentation for a group of students, in a colloquium, after-school program, or in a primary, secondary, or university level classroom. Some school districts and universities have a “visiting scientist program” that matches instructors with outside professionals, while elsewhere it is done more informally upon request. In the GIS field, GIS professionals are often asked to conduct presentations for students, and these requests often peak near GIS Day each November. Given the fact that GIS Day is approaching, I would like to give my philosophy on these presentations, and look forward to hearing your ideas and experiences. Over the course of my career, I have visited over 400 educational institutions to give guest presentations, but the following reflections are by no means “one size fits all”: I am continuously learning as I go. 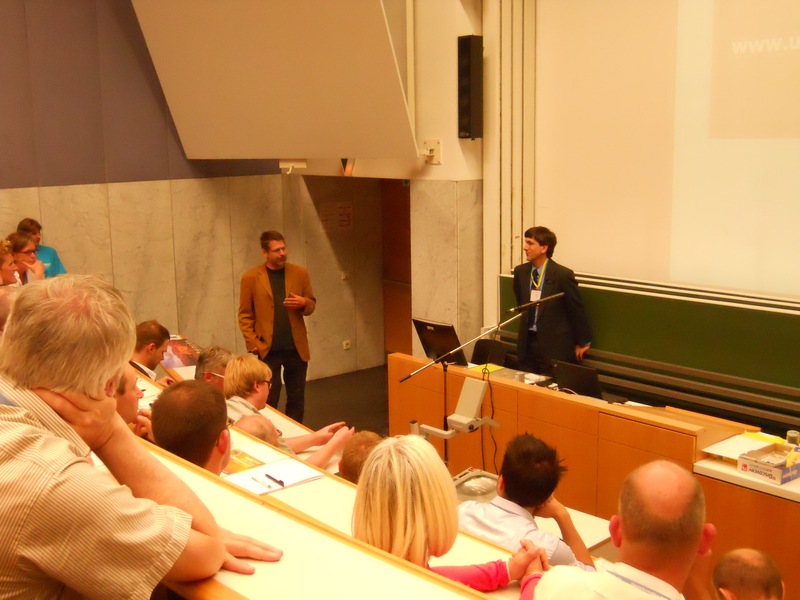 First, move beyond the phrase “guest lecture” or “presentation.” Particularly in a visual and exciting field such as GIS, approaching it as “lecture” will severely limit your effectiveness. Yes, we have slides on http://edcommunity.esri.com/syfr and elsewhere. But you have wonderful GIS tools at your fingertips and complex, fascinating problems that you are grappling with on a daily basis. Therefore, show what you are working on! Bring your computer and a projector, showing your data or data you have made available to the public on the web. Make it as interactive as possible! Ask questions and show how you use GIS to solve problems. Don’t just show a bunch of slides if you really want to engage the students. If you’re in a lab, even better—have the students investigate your maps for themselves. Some students may consider geographic inquiry to be simply asking where something is. Therefore, you might have to provide some foundation about what spatial thinking and spatial analysis in a GIS is all about. Second, think about the neighborhood and region where you are giving your presentation. What issues such as natural hazards, graffiti, rapid growth, traffic, or water quality are of concern? What makes this neighborhood unique? Think of the landscape, ecoregion, land use, river systems, climate, ethnicity, history, and other characteristics at work. Sometimes, students consider their neighborhood to be the most boring in the world, so help them consider what sets it apart, showing their neighborhood via GIS and another across town or in another city across the country or on another continent. Use ArcGIS Online to compare earthquakes around the world to plate boundaries and cities. Examine median age by tract and block group and discuss the implications that the median age has on different service industries. Compare land use and ecoregions and ask why agriculture occurs where it does. Go for the unusual by examining this strange imagery collection. Show 10 satellite images of selected places around the world or around your state and have students guess as to where they are, why, and what the area is like. Investigate landforms or features and ask students to tell you what each one of them is, whether sand dunes, wetland, karst, a golf course, school, office building, or hospital. In ArcGIS Online, you can prepare this tour ahead of time or construct it while you are talking with the students. Fourth, get outside on the school grounds with some cameras and GPS receivers, or with smartphones. Hyperlink the resulting photographs and videos to ArcGIS Online, and then help students tell their stories as I did in Amboseli National Park. Fifth, tell your personal story about how you blazed your career path in GIS, touching on the importance of staying in school and pursuing a well-rounded education including courses in science, geography, mathematics, computers, and language arts. Sixth, don’t forget to ask them questions as well. You will be inspired and energized! Seventh, leave a poster describing what you do or what GIS is behind. Other ideas abound on the Esri Edcommunity blog and on the GIS Day resource area. If you can instill some curiosity about their world, and the value and power of real data, maps, and GIS technology, then you will have succeeded. What presentation will you give to students this year?